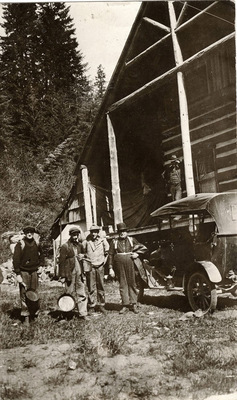 Four men standing near automobile in front of the Salmon La Sac Guard Station in upper Kittitas County, Washington. "Salmon La Sac Guard Station" (1920). Frederick Krueger Photographs. 639.